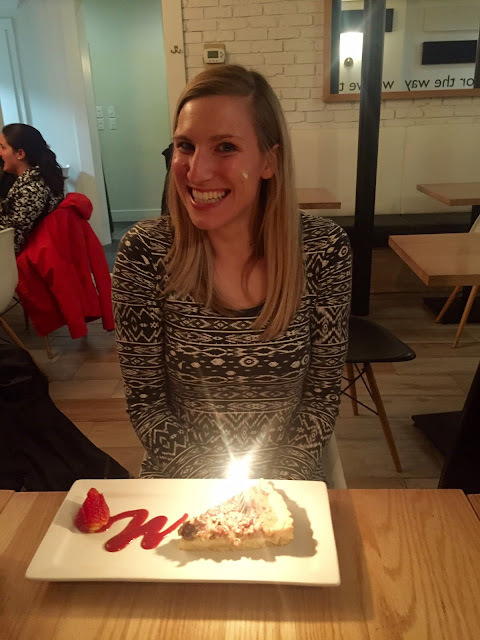 Now that I have been 30 for almost two weeks, I suppose it is time to update on how my 30 Before 30 adventure went. I didn't quite make it through the list, but I definitely will continue to chip away at these items. 1) Say "yes" more often - This one seems to be going well! I've said "yes" to a new book club, to a new job, to a trip to Cartagena, to a spontaneous trip to Tremblant, to rock climbing with my family, to trying Crossfit again, to coaching triathlon, to a new coach, to coaching myself, to signing up for my first Half Ironman, to trying to adopt a dog, to a lot of awesome things! 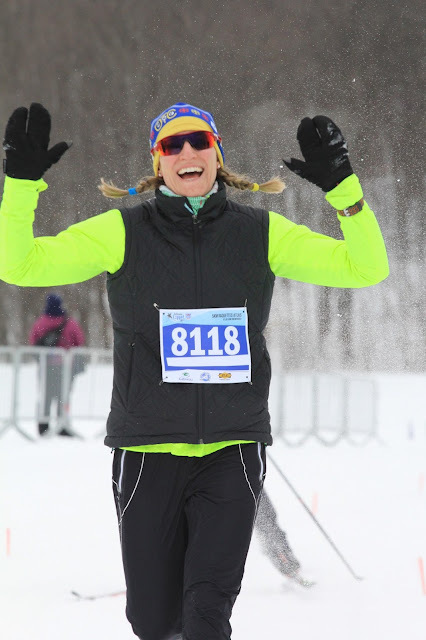 2) Compete in a snowshoe running race - On February 28, I did the Gatineau Loppet 5k Snowshoe Race. It was an absolute blast and I happened to finish as the first woman! I see many more snowshoe races in my future for Winter 2016-17. 8) Learn to skate ski - I had a great time learning to skate ski this winter. While it was very challenging and frustrating at times, it was also really fun. By the end of the winter, I felt like I actually knew what I was doing. I'm looking forward to many more seasons of skiing ahead of me! 10) Read 6 books (1 per month) - I joined a book club, which helped me get through three books! We read "A House in the Sky," "Rebecca," and "Modern Romance." I also have made some progress with two other books, "Lean In" and "The Sport Gene." I can definitely recommend the three books we read for book club, especially "Modern Romance" if you find yourself in the wild world of dating. For a book written by a comedian, it is well researched and full of interesting facts and insights, plus it is hilarious. 12) Learn some Italian or Spanish for my birthday trip - I did a few lessons on Duolingo before my trip to Colombia. While there the extent of my Spanish speaking was, "yo quiero una cerveza por favor." 15) Learn how to drive stick - So far, I learned how to shift gears from the passenger seat. Now that the snow is melted, this one might actually happen. The streets of Cartagena are magical! 17) Visit somewhere new - Just before my birthday, I went to Cartagena, Colombia with 7 girlfriends from university. It was a magical experience. The city is beautiful, the people are friendly, the food is fantastic, and you can dance until dawn. I will write a separate post on Cartagena, because they actually have a 70.3 there in December! 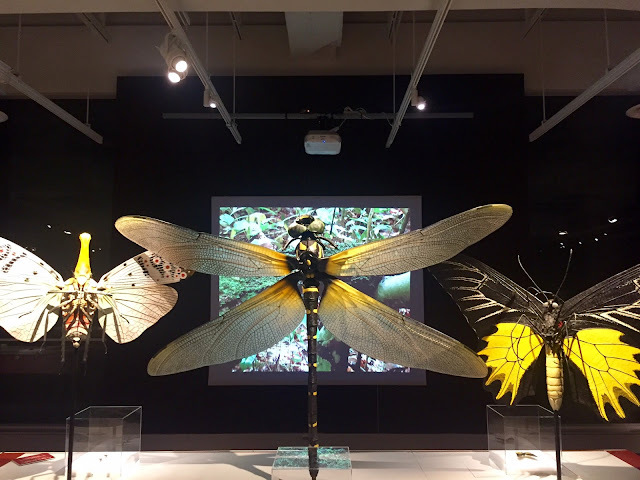 20) Be at tourist in Ottawa - Since posting this list, I've been to the Nature Museum to see the bugs exhibit, National Art Gallery for a Monet exhibit, and the War Museum! I've also skated on the canal, another quintessential touristy activity in Ottawa. I've also tried a few new restaurants / cafes. I've explored new trails in Gatineau Park. And I attended the Ski Tour Canada race in Gatineau. 22) Find a cause to lend my time to - I will be participating in Any Race, Any Sport in support of Imerman Angels! My friend Brent introduced me to this amazing organization. Imerman Angels matches cancer fighters and caregivers with a one-on-one mentor to provide them support and help them navigate all aspects of life with cancer. I will be running a TBD half-marathon in the fall and raising money to support Imerman's amazing work! If you are interested in contributing to my fundraising efforts, you can do so on my Team Imerman Angels page! 24) Manage my finances and save some money - I've been somewhat sticking to my budget and trying to save more money. I successfully saved for my trip to Cartagena and for my new bike! 26) Help rescue a puppy - I've decided to adopt a dog! Unfortunately the first dog that I applied to adopt went to a different family, but I am looking for another one. I am really excited to have a running buddy and to give a loving home to an animal in need! 29) Fall in love with myself - This one is going well. 30) Practice gratitude - This one will always be a work in progress. It is so important to express our gratitude for all the amazing things in life as much as possible. 3) Paint a picture - I did a bit of colouring, but didn't get around to painting a picture. I suppose I should attend one of those Paint Nites soon! 6) Swim sub-1:10 for a 100m freestyle - I didn't help that I have only made it to about 4 real swim practices since I wrote this list! I need to get back to ROCs. 7) Break 20 minutes in a 5k - I haven't signed up for a 5k yet to test this out, and given the lack of speed work in my training, I am a bit scared to attempt this challenge. 21) Plan an epic solo trip - Colombia was pretty epic, but I still have it in my mind that I would like to take a solo trip this fall. However, I now need to consult my budget since I also have two weddings, a bachelorette party, and several races that I need to travel for this summer. 28) Call my sister and grandma once a week - Need to get better at this!! I'm looking forward to completing the list and adding new items, as I make the next 365 day trip around the sun. The past 30 years have been pretty kind to me -- full of love, adventure, friendship, and many opportunities to grow and develop. I am confident that the next thirty will be just as good or most likely, even better! I decided not to celebrate your birthday great site again until I see you. You have not gotten any older in my mind despite the number of birthdays that you have had and that seems odd. You of course may make your own decision.